This Christmas cracker joke has entertained and frustrated in equal measure around Australian dinner tables for decades. But now two Captains Flat sheep are doing their best to give us a legitimate answer to the age old question. For almost a year two feral sheep have joined a mob of kangaroos at the old mine site between Captains Flat Road and Miners Road, apparently thinking they are part of the group. Queanbeyan-Palerang councillor Peter Marshall first noticed the sheep in October last year after seeing numerous reports on Captains Flat Facebook groups. "They seemed to be living with the mob of kangaroos," he said. "They were visible when the roos were there, late evening and in the morning, and presumably overnight too. But seemed to be gone during the day, just like the roos. "You get the impression that they are part of the mob, though they keep a little bit of distance from the roos, and they haven't been seen hopping, jumping fences or boxing. Yet." The land where the mob appears each night is unoccupied and there does not appear to be any flocks of sheep nearby. 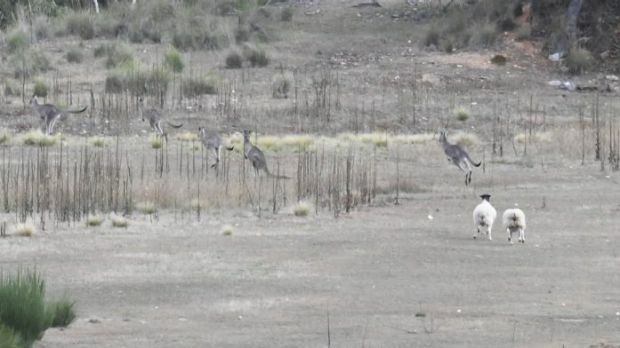 The sheep certainly appear to travel with the kangaroos each day. 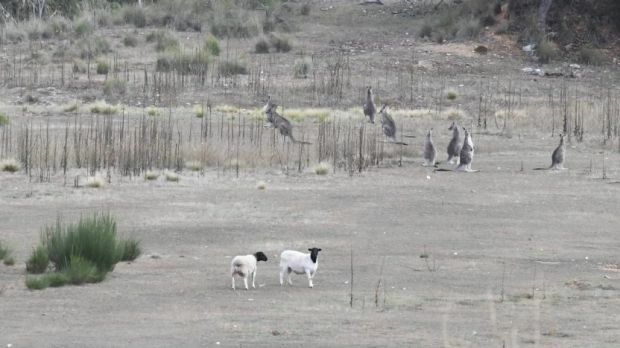 Wildlife expert professor Steve Garlick said while he had never heard of kangaroos and sheep living together, he said it was not uncommon for different species to become friendly in the right circumstances. "I would say the sheep not being part of a mob of sheep have been looking for a mob of something to spend time with," Mr Garlick said. "It all points towards basic instincts of being safe and safety in numbers." Mr Garlick said kangaroos had exceptional senses for detecting danger and from that point of view the sheep had made a clever decision to stay with these kangaroos. He also reported that a wombat in his care at the Possumwood Wildlife sanctuary once became very close friends with a lamb he had at the property. Re: What do you get when you cross a sheep with a kangaroo? I love stories like this. I wonder if they ever will mate?